I highly recommend the app bandsintown. It’s a great way to track your favorite artists and to find local shows. April 7, 2018 Learning to Fly – A Tom Petty Tribute The Music Hall, Portsmouth, NH. I produced this show as a fundraiser for Big Brothers Big Sisters. We raised $20,000 NET for BBBS. My band, The Wallflowers were one of the bands performing, along with Good Will Harding and Captain Ray and the Castaways. July 7, 2018 Damn the Torpedos Portland, ME, Portland House of Music, Featuring Captian Ray and the Castaways… I was able to join them on two songs! July 13, 2018 Go Big For Hunger – 3rd Annual Soul Revue, Portland House of Music Featuring Otis Reading III and Younger Bloods! August 15, 2018 Mandolin Orange Prescott Park Arts Festival, Portsmouth, NH – We met the band backstage! Next up… Pearl Jam, David Byrne and Elton John! March 20, 2017 Eric Clapton Madison Square Garden, NYC, with opening acts Jimmie Vaughan and also Gary Clark, Jr.
June 25, 2017 U2, Joshua Tree Tour, Gillette Stadium. BIG thank you to Luke Ramaeka who gave me tickets to the John Hancock Suite! December 30, 2017 Learning to Fly – A Tribute to Tom Petty This is the show that started it all for me…. This show inspired The Music Hall event that I produced. Forever grateful to Captain Ray Card who headlined my show! August 7, 2016 Pearl Jam Fenway Park, Boston, MA A BIG thank you goes out to Kyle Baker for getting me into the Luxury Suite! September 29, 2001 Farm Aid – A Concert for America Deer Creek Music Center, Noblesville, IN, with my cousins, Eric and Karen Becker. Just over 2 weeks after 9/11, I went to IN to visit with my Aunt and Uncle (Steve and Carol) to see a Formula 1 Race at the Indy 500 Motor Speedway (on 9/30). My cousins were going to Farm Aid and invited me along. Why not! We bought tickets at the door and the lineup was amazing. It was my first time seeing Willie Nelson, first time seeing Dave Matthews (who I was impressed with – just him and his acoustic, no band, pretty amazing), John Mellencamp, Neil Young, Doobie Brothers. Great show. If I remember right, we had lawn seats and just hung out. Looking at this lineup, comparing to the EC show in London, 2015, Andy Fairweather Low, Nathan East and Steve Gadd were all there in 2001 and 2015. Funny, I’m such a huge Doyle fan now, I wish I knew what I was seeing back in 2001! I remember this one like it was yesterday, because my fake ID was taken away at this show! Can you believe I found that date online? I was 15 years old and it was my first concert. General admission down by the river. It was so hot, they used hoses to spray water on the crowd. I remember we were pretty close to the stage. I was a big Van Halen fan back then, so I was pretty excited about the show! Well, that’s all the shows I can remember! 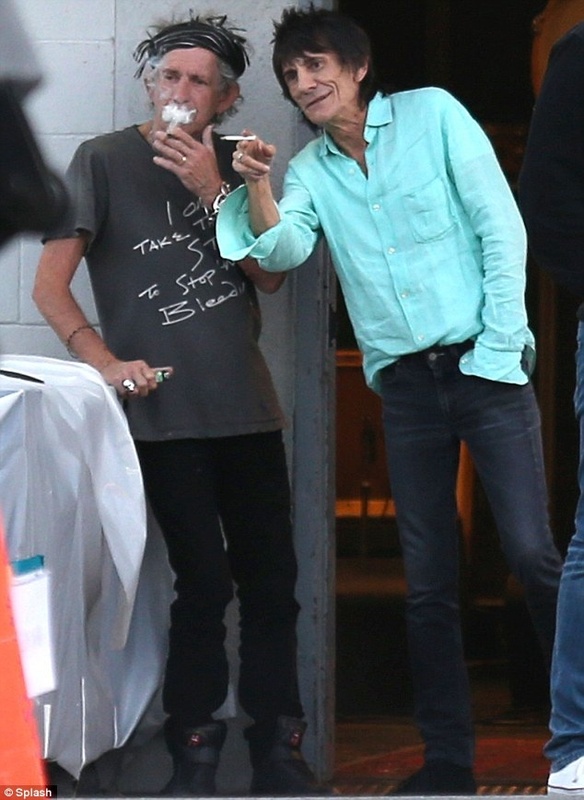 Still missing from the list – The Rolling Stones….